While we are all familiar with motion-detection technology in controlled indoor environments, the technology problem is much more complex when you add stray animals, wind-blown trees, weather-strewn debris and other dynamic variables into the mix. 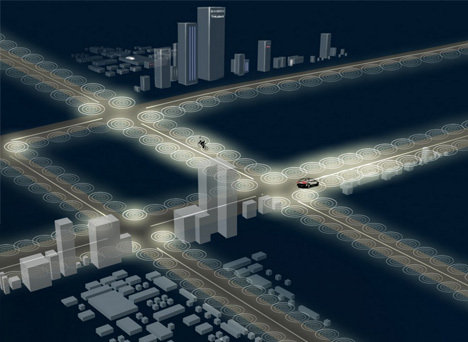 This high-tech solution designed and developed by Tvilight involves eight sensors and includes recognition software that can distinguish people and cars from other environmental factors that would trigger normal detectors. Recognition information is relayed between the various independent light posts to account for the trajectory and velocity of pedestrians and automobiles, allowing both reaction and anticipation. Fine-tuned control options allow off-hours intersections to have the lights turned down by 30%, and mostly-empty areas like parking lots to be dimmed up to 70%. 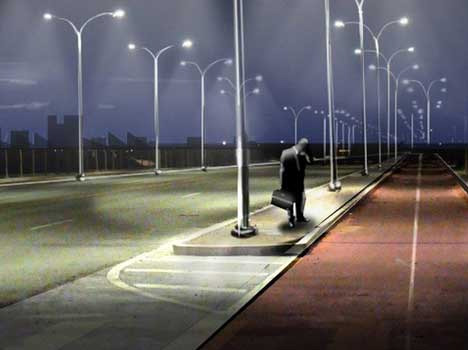 The statistics are staggering – cities, states and countries could save up to 50% on maintenance costs and 80% on energy by illuminating streets on an as-needed basis rather than continuously. 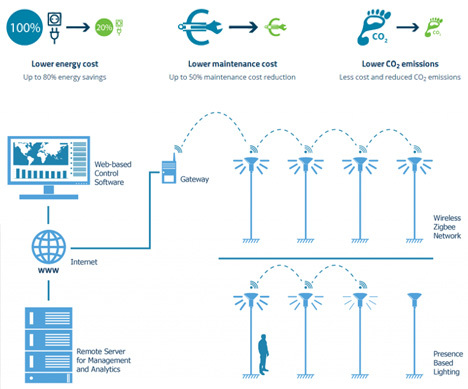 In Europe, 40% of government energy spending is on street lighting, so cutting down the cost and pollution of lights can have an incredible impact. 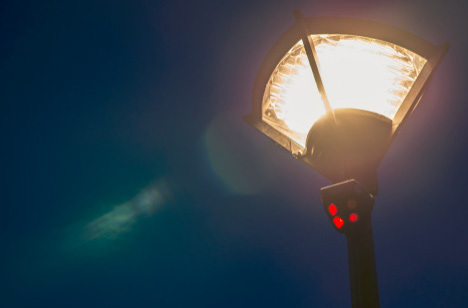 Engineer and entrepreneur Chintan Shah’s company developed this dynamic system such that it can be applied to street lamps of all kinds, both new and old, in various places – sensors can be added to existing lights with traditional or LED bulbs. Already active in Holland and Ireland, Tvilight is looking to expand into the German, Canada and the United States.